Do you enjoy listening to music on your mobile device? If you're looking for a cool and fluid experience you may want to check out Listen for your iPod touch, iPad, and iPhone. This app uses gesture functionality rather than your traditional buttons. What this means is that you can control your music even if you aren’t actually looking at the screen. This comes in especially handy when you are busy working out, commuting, cooking, or performing other activities. You can literally control everything about this app with quick and simple gestures. If you need to be able to go about your business and not have your hands occupied scrolling through playlists and music, then this app offers a good option for you. Simply gesture to control what you want the app to do, such as swiping left to right. By doing this you will change tracks. And don't worry, the app isn't overly finicky so the gestures don't need to be 100 percent precise in order to register. The app uses portrait mode and is able to stream your music live through AirPlay. You can also share what you’re listening to with friends and family on Facebook, Twitter, and by email. In the app's recent update a number of enhancements were made: two-finger scrubbing and volume control were added, the app got a better search tool, you got better recognition of your gestures, the devleoper made some bug fixes, and the library loads better than before. The app has very high customer rating marks as users have plenty of positives to say about the user interface and how easy it is to operate. It should be noted that the app requires iOS 7.0 to use. You can do more than just move through tracks by gesturing; you can also pause, play, add songs to your favorites playlist, and view your playlist. 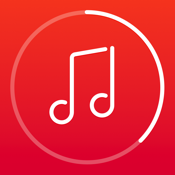 The app boasts "seamless music library navigation," giving you access to all your favorite tunes, you are able to turn off the auto-lock, and there is a search tool that can be used to look through your media library. There are a few comments from users asking for a bit more details and features to be added just to give it a better overall feel. I agree with the users that there are still some features missing and maybe some user-friendly aspects that have been overlooked. Perhaps these will be addressed in upcoming updates. The Listen app for your iPod touch, iPad, and iPhone gives users a fun and easy way to listen to their music so that their hands stay free.